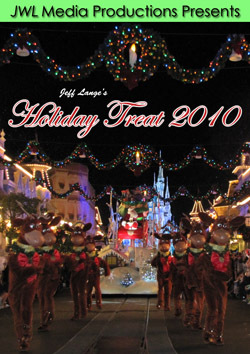 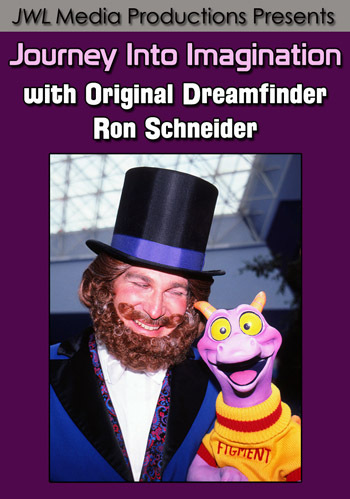 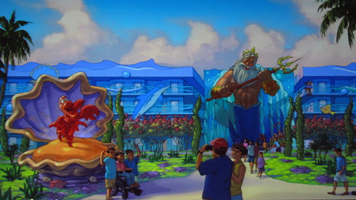 The official artwork (which we were able to photograph at D23’s Destination D event last month) displays the 4 unique areas of the resort (below, left). 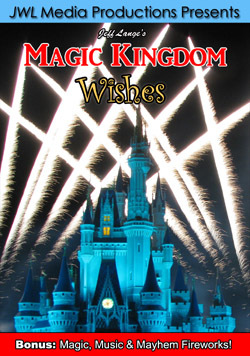 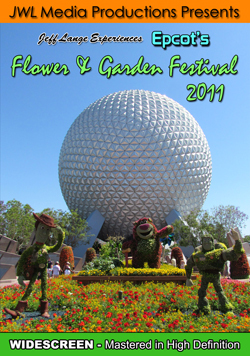 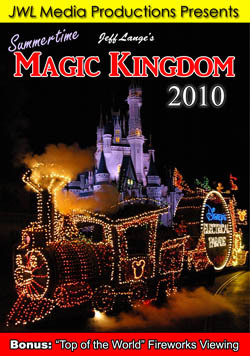 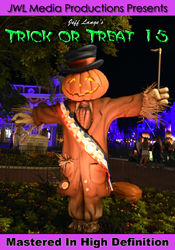 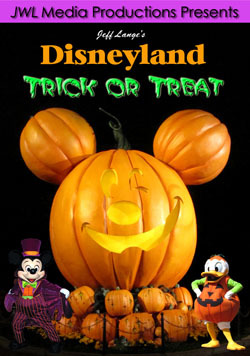 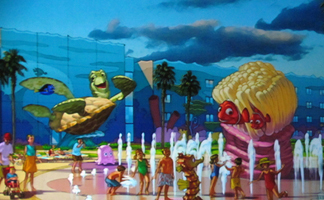 The areas are themed after The Little Mermaid, The Lion King, Finding Nemo, and Cars. 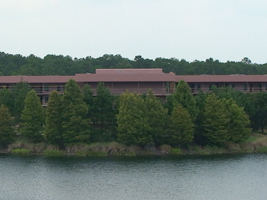 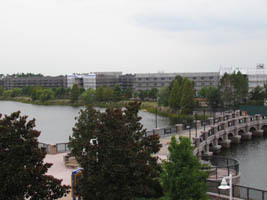 The Little Mermaid area is the only one that will have standard rooms as opposed to suites, utilizing the former buildings that were built originally for Pop Century’s never-built The Legendary Years (below, right). 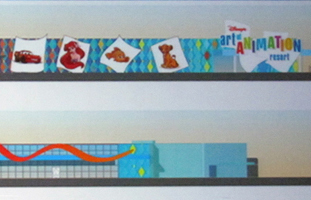 This artwork (left) shows what the Little Mermaid section will look like once built. 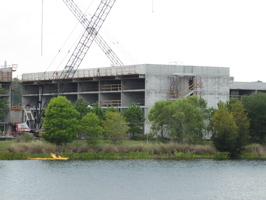 The buildings don’t look like they’ve had too much work done on them yet (below, right). 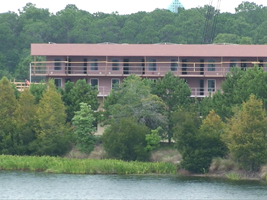 There will be 864 rooms once complete. 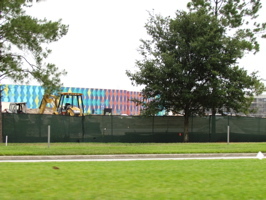 The buildings (below, left) have been sitting empty for 10 years, but will have guests next year when Disney’s Art of Animation opens! 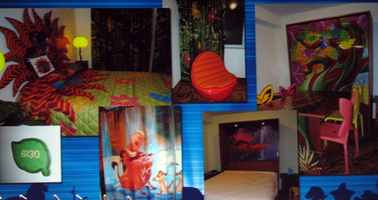 We were treated during Destination D to photos of what the highly themed rooms will look like (below, right). 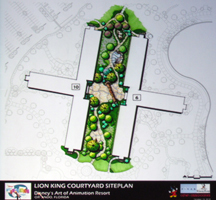 The Lion King Courtyard (below, left) will include characters from the film, and you’ll see them in the viewpoint, size and scale of Simba (below, right). 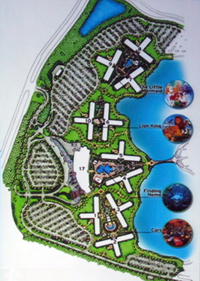 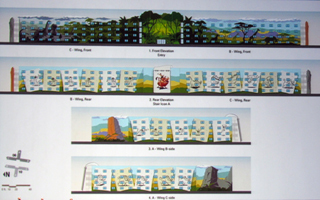 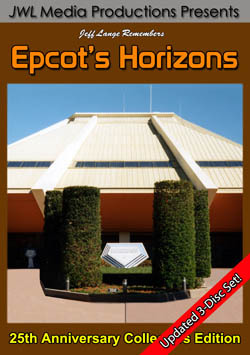 Concept art of each area of the resort was shown at Destination D, demonstrating how the wings would look like from a guest’s point of view while in each courtyard and from the side that is visible from Disney’s Pop Century Resort (below, left). 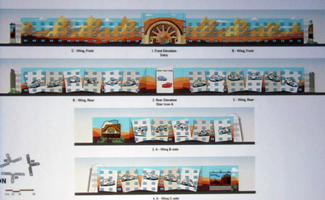 The Lion King wings appear to be the least finished so far (below, right). 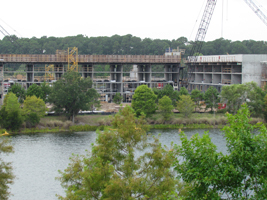 Another view of the Lion King section as it stands now (below, left), and a photo of what the rooms will look like once completed (below, right). 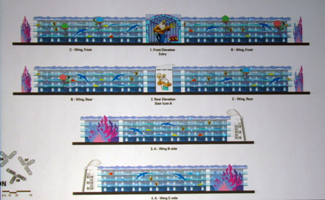 The most finished area so far is the Finding Nemo section of the resort (below left and right in concept art), which will include a zero entry pool and interactive water features. 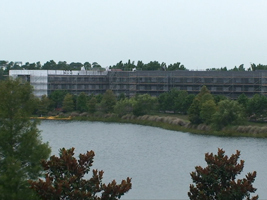 The exterior paint design (left, bottom) is taking shape on the building (below, right). 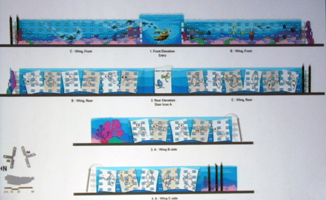 The white rectangles will have animation artwork in them featuring characters from Finding Nemo (below, right). 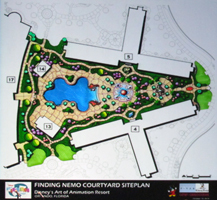 The feature pool being built in the Finding Nemo courtyard is visible (below, left). 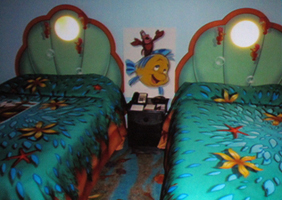 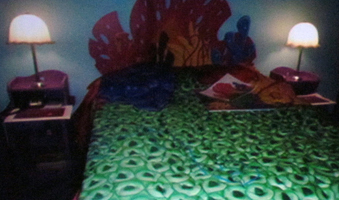 The new suites will include heavy themed interiors with jellyfish lamps and other sea-inspired features (below, right). 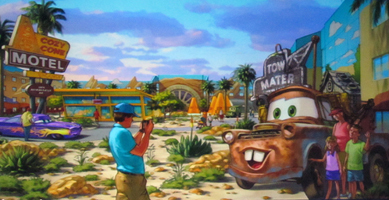 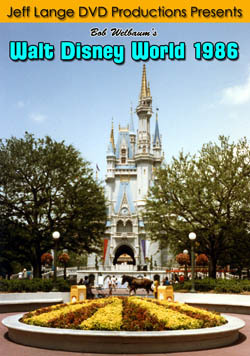 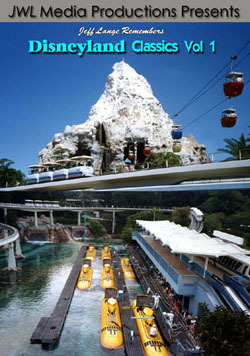 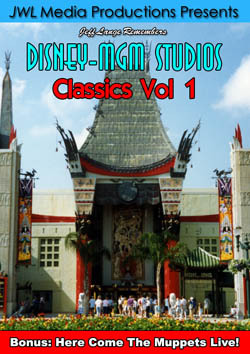 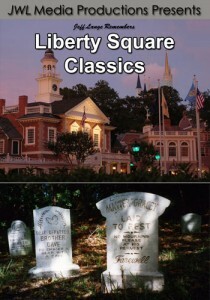 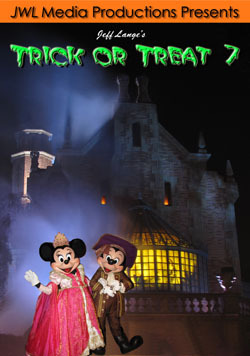 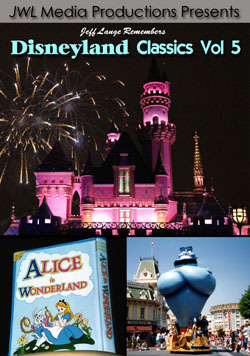 The Cars courtyard (below, left) will be themed to the film, including 11 characters for photo opportunities (below, right). 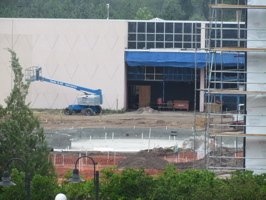 There will also be a pool here – the only courtyard that does not appear to include a pool will be the Lion King courtyard. 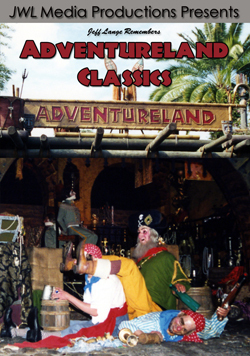 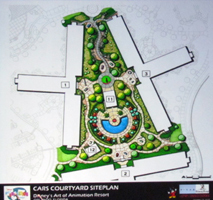 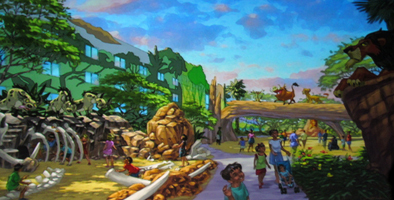 Like the other sections of the resort, one side – facing the courtyard – will be colorful and vibrant while the other side will include more black and white animated characters (below, left). 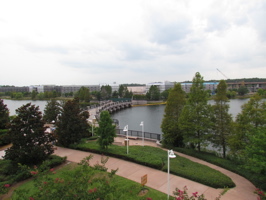 The Cars section is the furthest to the left when looking from Disney’s Pop Century Resort (below, right). 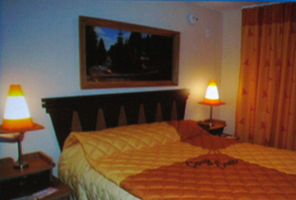 Another look at the Cars section (below, left) and a peek at what the rooms will look like (below, right), including a Cozy Cone bedspread and cone-shaped lamps! 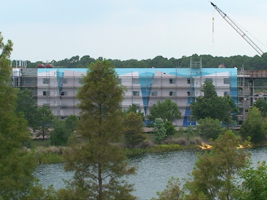 The main check-in building at Disney’s Art of Animation Resort is still being painted (formerly the main building for Disney’s Pop Century Legendary Years Resort that had the over-sized 00, 10, 20, 30 and 40 displayed facing the Pop Century bridge) you can see how much it already looks like the concept art (below, left and right). 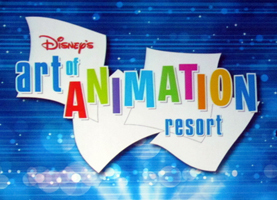 Video Update – Art of Animation Resort Construction 6/7/11 Including Photos from Destination D Walt Disney World – See the progress on Disney’s Art of Animation Resort, with pictures of artwork presented at D23’s Destination D!